I mentioned the new Yves Saint Laurent Rouge Volupté Shines just last week (here), but now that my order of the shade Rose Infinite has arrived, I thought I would share a few pictures! The packaging is the standard and oh-so-beautiful YSL gold, featuring the shade of the lipstick in the center of the tube (which I always find helpful when I am trying to fish out a color from my lipstick drawer). 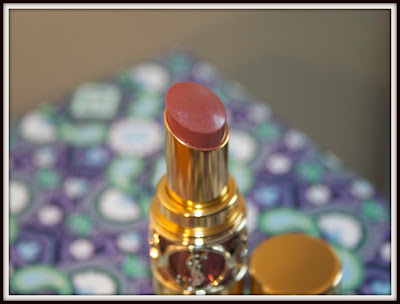 The texture is smooth and buttery, but with less 'slip' than the Rouge Volupté Sheer Candy. 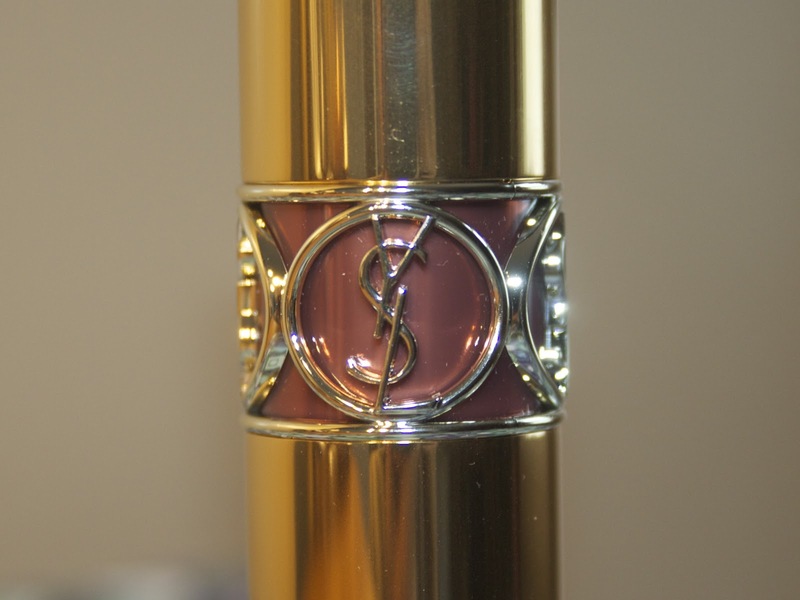 The pigmentation is good--I would say it is exactly in the middle of the Rouge Volupté and Rouge Volupté Sheer Candy--which seems to be exactly what YSL intended! Rose Infinite is a brown-tinged rose color that is perfect for everyday wear. YSL has advertised these as having hyaluronic acid and emollients to condition and moisturize the lips. On first swipe, they do seem quite moisturizing, but I will keep you posted. They have a mango scent, which I enjoyed. Even if you are particularly sensitive to scents, it does dissipate quite quickly. 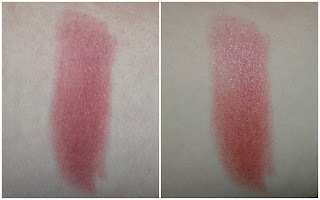 The Rouge Volupté Shines are currently only available on YSLBeautyUS.com for $34.00 each. The range currently offers 16 different shades. Please subscribe for new blog posts and follow me on twitter (@julesssdarling)!